Seniors are the most likely to hand out candy, with 84 percent of respondents over 60 saying they plan to hand out candy, Mueller writes. In the Midwest, 79 percent of respondents said they plan to give out candy, compared to 76 percent in the South, 74 percent in the West and 71 percent in the Northeast. And don't expect the candy business to suffer a financial crisis anytime soon, Mueller writes. About $2.5 billion in confectionery sales are expected during the holiday season, while confectionery manufacturers in more than 40 states employ more than 70,000 workers in more than 1,000 facilities. 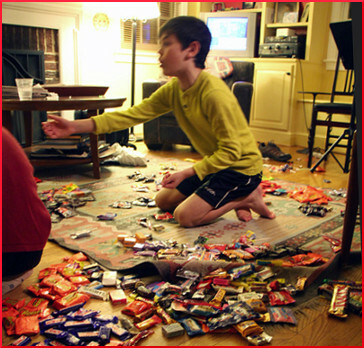 But candy is not the main draw of Halloween, says a study by the American Dental Association. 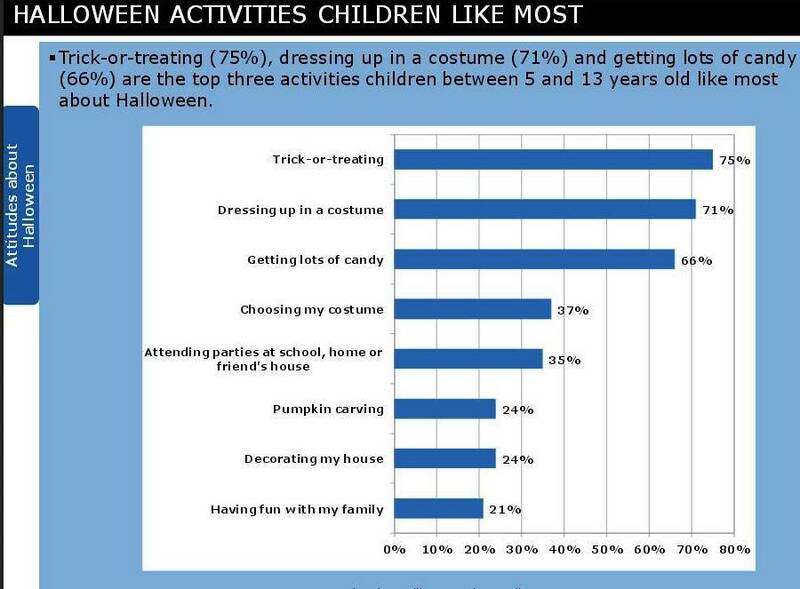 The study, which in August asked 755 children between the ages of 5 to 13 what their three favorite parts of Halloween are, says 75 percent of respondents said trick-or-treating, 71 percent said dressing up and 66 percent said getting candy. The older children getting less candy was a factor, with 70 percent of children 5 to 7 saying candy was one of their favorite parts, 69 percent of children 8 to 10 and 62 percent of those 11 to 13. Content is the main issue in many states, Bergal writes. "An employee may be required to keep certain types of email, such as official memos or messages dealing with administrative policy, which may be retained for several years. But they also may be allowed to delete email that is deemed 'transitory,' which means it has little value after its use and nothing important in it. Transitory email can range from a 'help yourself to cookies in the break room' note to a list of staffers who participated in a meeting to drafts of a presentation." "While states have strict retention schedules, it’s often up to the individual agency to determine how to make that work," Bergal writes. "Problems often arise when retention rules bump heads with information technology policies, which favor unclogging email boxes, deleting junk mail that can bog down the system and keeping the cost of storage to a minimum." The National Archives and Records Administration "has proposed a new approach that would designate email accounts of senior level federal officials as permanent records that would not be deleted and would save nonofficials’ emails for at least three to seven years," Bergal writes. "The idea is to shift the burden of deciding which messages should be erased or archived away from the individual user." Urban high school graduates are more likely than urban graduates to attend a post-secondary institution, according to a National Student Clearinghouse Research Center study, The Rural School and Community Trust reports. This applies regardless of the demographics of the high schools they attended. 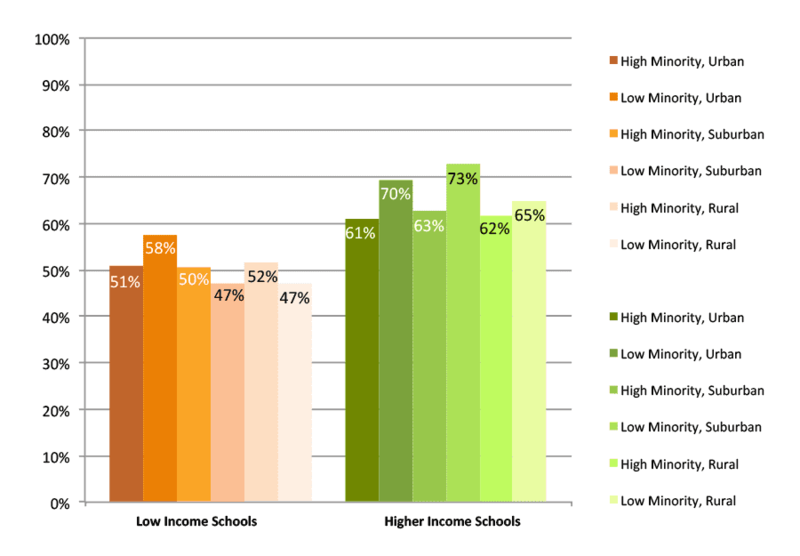 However, of those who attended low-income/high-minority schools, only approximately half continued their education after high school. The following chart shows the percentages of students who attended college immediately following high school with no gap year. Graduates who went to high income, low minority and suburban schools "had the highest college enrollment rate. Seventy three percent of students who graduated from these high schools in 2013 enrolled in college immediately after high school graduation. According to past research, high school context variables not only influence whether or not students decide to continue their education but also continue to affect outcomes throughout college if they choose to attend. "School-based resources are especially important for students from families in which no adults have attended college," according to the report. 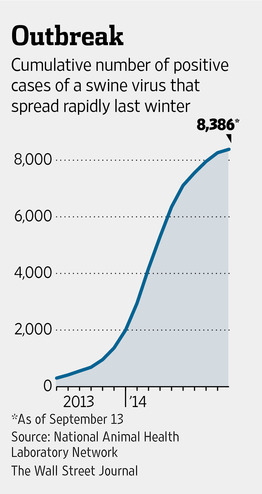 High school sports are getting costly in remote rural areas of Alaska. 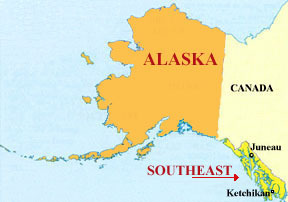 Ketchikan, the state's southeasternmost city, not only has to raise thousands of dollars each year for travel costs for road games, but if it wants to host games against schools located far away, Ketchikan is forced to pay the other school's transportation costs, which includes airfare for players and coaches, Emily Files reports for KRBD 105.3 in Ketchikan. In one instance this year, Ketchikan had to dole out $8,700 to fly in a team of 20 football players from Seward. Opposing schools in the region pay their own costs, but with a limited number of opponents to choose from, Ketchikan usually fills out its athletic schedules with teams from farther north, Files writes. While Ketchikan pays its own way to road games, getting other schools, especially ones in urban areas where there are plenty of opponents to fill the schedule, means adding extra incentives, such as paying the other team's way. "Black bears tend to swarm Taylor Creek this time of year thanks to an annual run of kokanee salmon, according to Mother Nature Network," Jacque Wilson reports for CNN. "And Taylor Creek staff say they are 'routinely' seeing people getting friendly with the animals in an effort to update their Instagram feed. If park visitors continue to ignore instructions and venture too close to the bears to take photos and videos, Taylor Creek may be closed to the public, the Forest Service said." A recent college graduate says drones are the answer to a shortage of emergency services, Matt McFarland reports for The Washington Post. Alec Momont, whose family friend died of cardiac arrest because an ambulance arrived too late, concentrated his final project at Delft University of Technology in the Netherlands on an "ambulance drone" that could carry emergency supplies quickly to those in need. "Momont developed a drone with a defibrillator built in," McFarland writes. "The drone is capable of traveling at 62 mph, but the battery lasts for only 10 minutes. He says a network of 3,000 drones could canvas the Netherlands, each drone responding to 12 square kilometers within a minute. He envisions the drones being stationed on telephone poles. The nearest drone could be summoned following a 911 call and flown—either autonomously or controlled by a human—to the site." "Once the drone lands, a panel is opened up, and the defibrillator paddles are removed," McFarland writes. 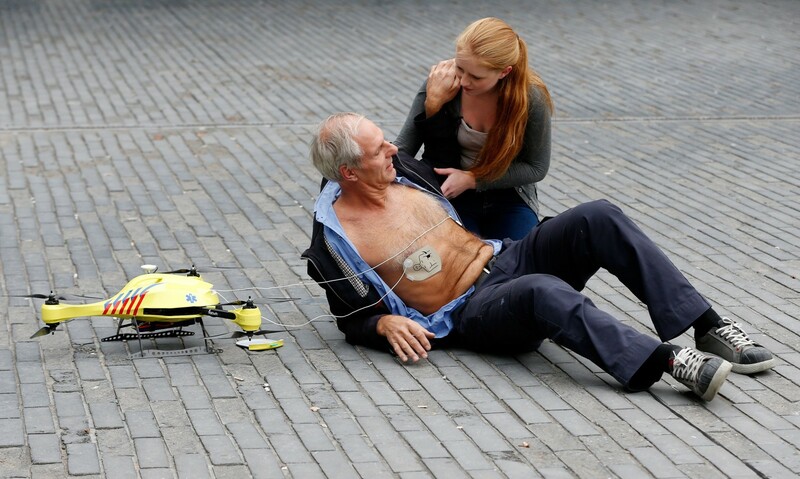 The drone, which weighs 8.8 pounds and includes a separate battery for the defibrillator, which is capable of delivering up to 50 shocks, includes a camera so that an emergency technician watching from afar can offer personalized advice." 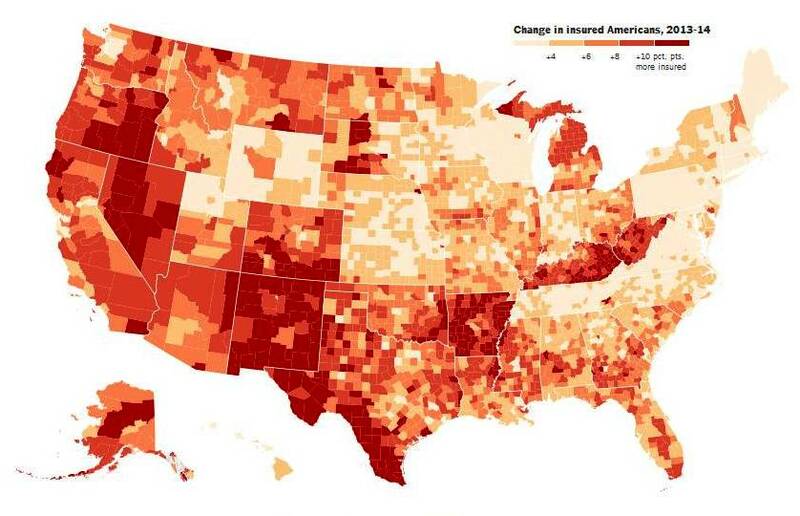 "The areas with the largest increases in the health insurance rate, for example, include rural Arkansas and Nevada; southern Texas; large swaths of New Mexico, Kentucky and West Virginia; and much of inland California and Oregon," Quealy and Sanger-Katz write. "Each of these trends is going in the opposite direction of larger economic patterns. Young people have fared substantially worse in the job market than older people in recent years. Blacks and Hispanics have fared worse than whites and Asians. Rural areas have fallen further behind larger metropolitan areas." About 10 million Americans who had no insurance in 2013 signed up for Obamacare this year, and the national uninsured rate for adults under 65 dropped from 16 percent to 11 percent, Quealy and Sanger-Katz write. Discovery Park CEO Jim Rippy told Sainz, "We're out here in rural America, and I think the exhibits are such quality and the word spreads. They don't expect something like this to be out in the country. They expect something like this to be in Atlanta, Chicago, New York." Location has been one key, with the park located near Interstate 55, U.S. Highway 51 and the Interstate 69 corridor, Sainz writes. But the exhibits are the real draw. 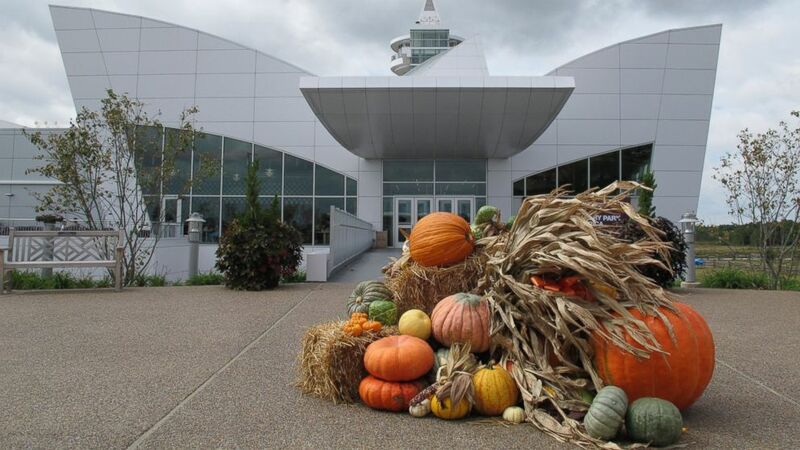 They include regional history, dinosaurs, Native Americans, energy, transportation, science, the military and space flight, an earthquake simulator, a 120-foot (36-meter) glass observation tower, a 50-foot metal replica of the human body with a 32-foot slide, an old train depot, a century-old church, a rotating grist mill, antique tractors, log cabins and flower gardens. Rates of eight toxic chemicals in fracking sites in Arkansas, Colorado, Pennsylvania, Ohio and Wyoming far exceed federal guidelines, says a study published on Thursday in the journal Environmental Health. 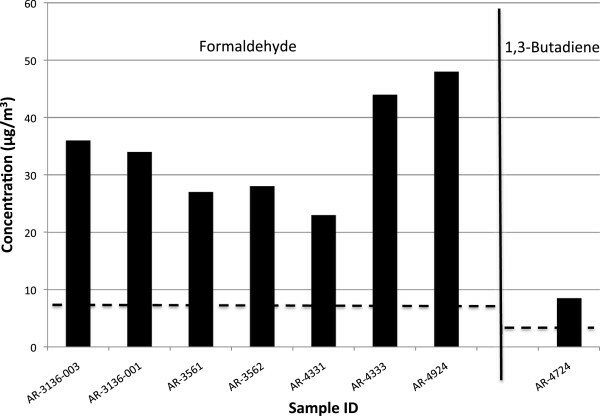 Benzene, formaldehyde and hydrogen sulfide were the most common compounds found to exceed health-based risk levels. "Not every sample exceeded the recommended limits," Neuhauser writes. "But in those that did—slightly less than half the samples taken—benzene levels were 35 to 770,000 times greater than normal concentrations, or up to 33 times the exposure a driver might get while fueling his or her car. Similarly, hydrogen sulfide levels above federal standards were 90 to 60,000 times higher than normal—enough to cause eye and respiratory irritation, fatigue, irritability, poor memory and dizziness after just one hour of exposure." After an Alpha Laboratories employee testified that water samples had been falsified for coal companies, an appeals court temporarily blocked the West Virginia Department of Environmental Protection from revoking the lab's certification. Even so, DEP officials say they will not accept pollution monitoring reports from the lab, Ken Ward reports for the Charleston Gazette. "The data supporting this interpretation—that Americans don't actually know a lot about genetically modified foods, and so polls suggesting they support their labeling should be taken with a major grain of salt—are fairly compelling," Mooney writes. "One 2013 survey conducted by researchers at Rutgers University found that 54 percent of Americans say they know 'very little or nothing at all' about genetically modified foods, and 25 percent have never even heard of them. 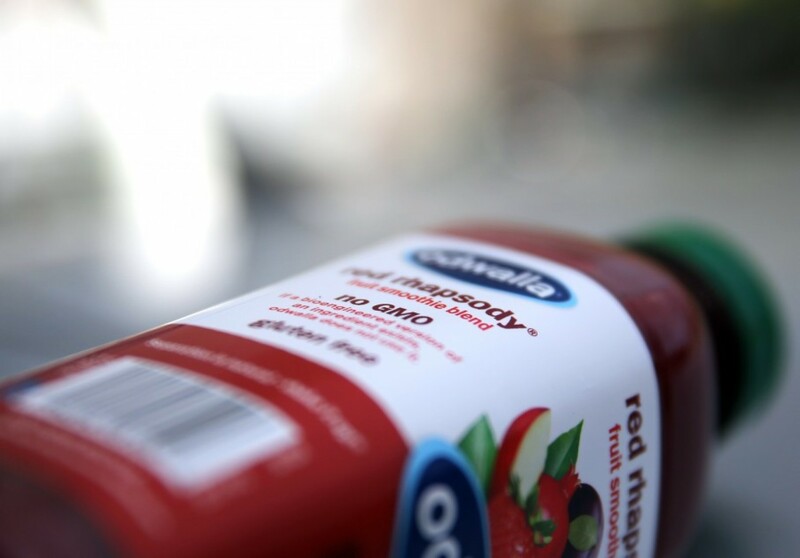 Only 26 percent of Americans, meanwhile, were actually aware that GMO labeling is not currently required." William Hallman, lead researcher of the study, told Mooney that "when people don’t know much about a subject, how you ask them a question about it largely determines the answer you get back." Hallman said 90 percent of Americans say GMO labeling is a good thing when asked directly about it, but when respondents are asked what labels they'd like to see, only 7 percent come up with GMO on their own. "These lake effect snows happen when 'cold air masses move over warm lake waters,' according to the National Oceanic and Atmospheric Administration," Giles writes. 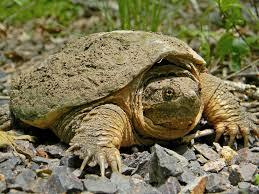 "They are common in the Great Lakes region from November to February." 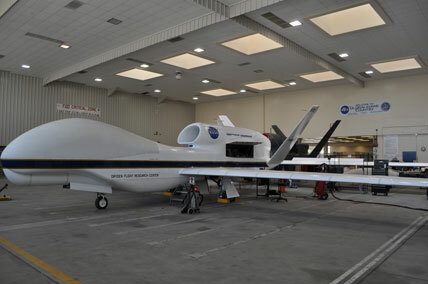 "Derrick Herndon, a research specialist at a satellite center at the University of Wisconsin, said unmanned aircraft would be useful to research and predict this type of weather," Giles writes. "Lake effect snows happen in only a few hours, and they need to be reported with accuracy, Herndon said. Drones can get a full picture of the temperature and moisture of the region to help determine if they are likely." "The possibility, disclosed this week by the state Department of Agriculture in a revised outline for a study of the chemicals, followed an outpouring of public concern over the dramatic decline in honeybee populations in recent years," Kennedy writes. "A revised outline published this week states that the range of state action could include 'restrictions on or cancellation of products. '” The in-depth review will take more than six months. Obesity is a national epidemic. Forty-three states have rates above 25 percent, and nine of the top 10 most obese states are in the South, led by Mississippi and West Virginia, where 35.1 percent of the adult population is obese, according to The State of Obesity. 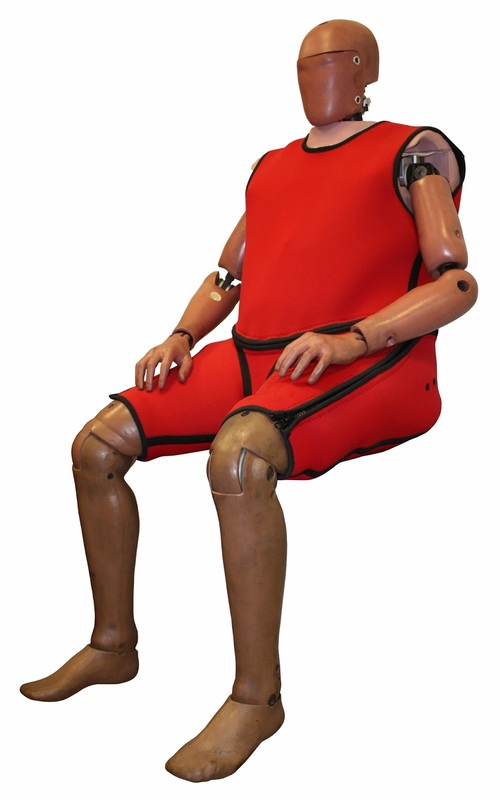 The epidemic has gotten so bad that Humanetics, the leading manufacturer of crash dummies, has to create fatter crash test dummies to better mirror the population, Kieron Monks reports for CNN. The company has a prototype that weighs 273 pounds and has a body mass index of 35. Chris O' Connor, CEO of Humanetics, told Monks, "Obese people are 78 percent more likely to die in a crash. The reason is the way we get fat. We get fat in our middle range. And we get out of position in a typical seat." 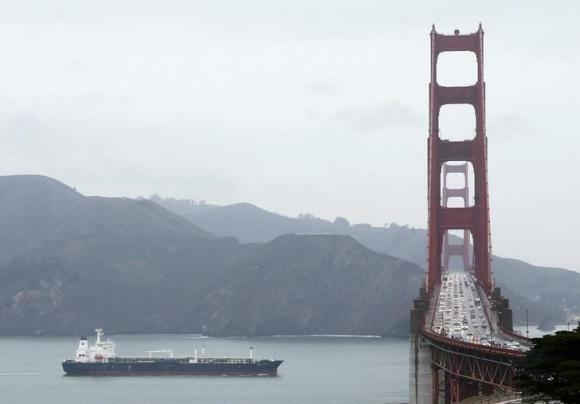 A group of 14 oil producers are lobbying the federal government "to reverse the 40-year-old ban on U.S. crude exports, a move that supporters say would create jobs and keep the energy boom alive," Timothy Gardner reports for Reuters. "Producers for American Crude Oil Exports, or PACE, is the first lobbying group to form to reverse the trade restriction passed by Congress in the 1970s after the Arab oil embargo caused fears of domestic oil shortages," Gardner writes. "As the U.S. oil boom of the last six years builds an excess of crude, calls have risen for Congress and the Obama administration to relax the ban." Daren Beaudo, a spokesman for ConocoPhillips, one of the member companies, told Reuters that the groups have "united to create an advocacy initiative to help repeal the outdated ban on crude oil exports." He said the ability to export crude is "vital to the country’s economic growth and national security, job creation and strengthening our competitive position in the global marketplace." Last week the U.S. Government Accountability Office "issued a report that concluded domestic consumers could save on gasoline bills if the ban was lifted because it would bring more oil to global markets, where fuel is priced," Gardner writes. 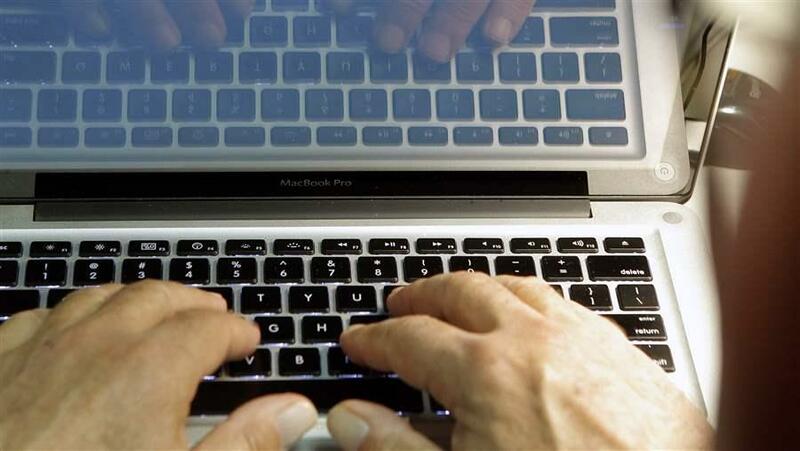 "It was the latest in a string of reports to reach a similar conclusion." The Environmental Protection Agency's long-awaited proposed regulations for coal ash storage and disposal have been sent to the White House for final review, Laura Barron-Lopez reports for The Hill. "Regulations propose classifying coal ash as 'special wastes' rather than 'hazardous,' but that is subject to change pending the final rule." Coal ash regulations were originally proposed in 2011, but the House voted to block the standards," Barron-Lopex writes. "Republicans argue the rules would hurt jobs and raise compliance costs for utilities and plant operators. Law firm Earthjustice filed a lawsuit on behalf of 11 environmental and public health groups in 2013 to push the EPA to finalize the protections." EPA repeatedly put off setting a deadline for proposed rules, despite orders from a federal judge, before finally announcing it would finalize rules by Dec. 19. The Valley City School District in Valley City, N.D., is discovering that it isn't staffed to handle this problem, Christina Craig reports for Valley News Live. Jimmy Howard, who has worked as a substitute for two years, told Craig, "I just think a lot of younger teachers as they are coming out of school—they are not looking for rural experiences; they want city experiences. And as rural teachers are getting older and start to retire, there's a higher need now." Valley City School District, which has 22 substitute teachers, has never had to cancel a class because of a lack of teachers, but administration staff members have had to act as substitutes at some schools, Craig writes. 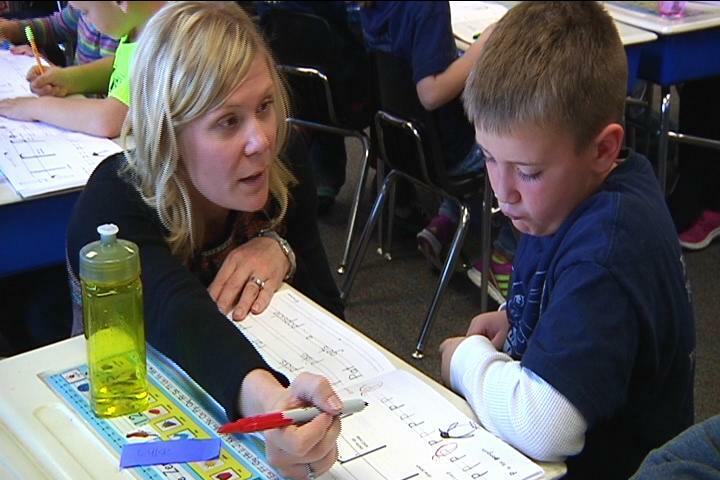 The Chippewa Falls school district in Chippewa Falls, Wisc., currently has about 200 substitute teachers, 50 fewer than in previous years, Bridget Currant reports for WQOW 18 in Eau Claire. Superintendent Brad Saron told her, “I think our substitute shortage is a symptom of less people considering the field of education as a career choice." Carmen Manning, the Dean of the College of Education and Human Sciences at UW-Eau Claire, told Currant, “I think it has to do with the fact that substitute teachers do not get any benefits and they work very part time." And substitutes in rural areas often earn less than those in urban ones, with the Chippewa Falls school district paying $85 per day, compared to $110 in Eau Claire. Last year the Sun Prairie Area School District in Dane County, Wisconsin, posted 14,458 substitute teacher openings, with 426 of the postings going unfilled, Rebecca Rudolph reports for The Star in Sun Prairie, Wisc. Beginning in 2015 it could cost a little more to visit some national parks, Katia Hetter reports for CNN. "For the first time in eight years National Park Service sites that charge entrance and amenity fees can increase their rates by set amounts." 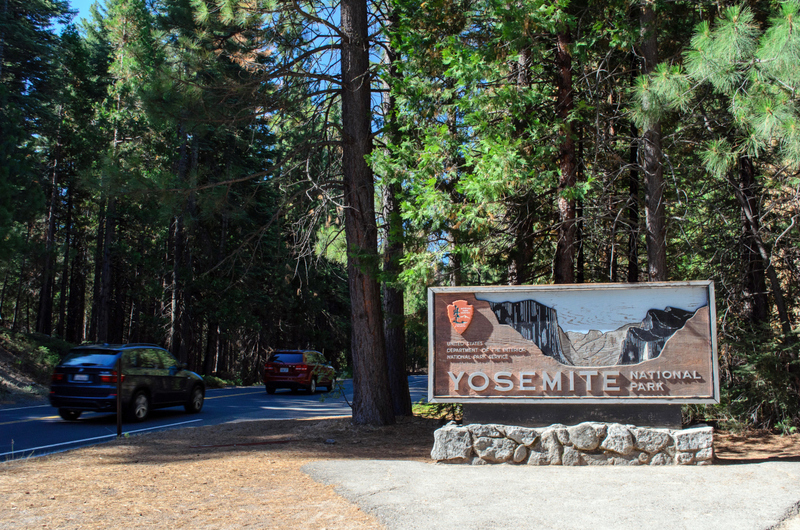 One of the biggest increases will be at Yosemite National Park, which announced Tuesday that its entrance rates will increase from $20 to $30, and its camping fees will increase "from the current range of $5 to $20 per night for family sites ($40 per night for group sites) to a range of $6 to $24 per night for family sites ($48 per night for group sites)," Hetter writes. "The cost of national park passes will remain at $80 for the regular annual pass, $10 for the lifetime senior pass and free for the annual military passes and access passes (for those with permanent disabilities)." The increase in prices is drawing strong opposition, Paul Rogers reports for the San Jose Mercury News. Rep. Tom McClintock (R-Granite Bay) said on Monday, "Raising fees in a stagnant economy makes as much sense as a shopkeeper raising prices in a sales slump. Contrary to assertions by park managers, tourists don't go where they're not welcomed, and the national parks compete for tourism with a vast array of other destinations." Robert Harrison, an occupational medicine specialist at the University of California, San Francisco, Medical Center who has investigated fatal chemical exposures in the workplace, "said authorities such as coroners and medical examiners may be missing the signs of petroleum poisoning in oil field death cases," Soraghan writes. Harrison told him, "That's certainly something we should be checking into further and doing additional investigations on whenever deaths occur suspiciously like this in the oil fields. And I'd say dying alone in the middle of the night in North Dakota is a pretty unusual circumstance." In a sworn statement to the attorney of the family of a worker who died of "hydrocarbon poisoning due to inhalation of petroleum vapors," environmental engineer Fred Bremseth said, "With that excessive gas, you get lightheaded. It would be just like carbon monoxide. You're gonna doze off, and Katy bar the doors, man—you're dead." Confusion and a "look-the-other-way" attitude have hampered investigations, Soraghan writes. Trent Vigus's death certificate states his cause of death as "hypertensive and atherosclerotic heart disease"—hardening of the arteries, Soraghan writes. "Essentially, it says he died of hardening of the arteries and a sudden cardiac 'event' from an undiagnosed heart condition. But some of the postmortem results contradict that and suggest Vigus' exposure to chemicals may have contributed to his death." "Laboratory tests turned up small amounts of propane and butane in Vigus' blood. Both these chemicals are found in Bakken crude," Soraghan writes. The pathologist who did the autopsy, Thomas Bennett, "wrote only that the toxicology test found caffeine and nicotine, ignoring the propane and butane results. Bennett wrote that Vigus died from a 'sudden cardiac event, most probably due to his underlying enlarged heart from hypertensive cardiovascular disease.'" "But Bennett didn't find any hardening of the arteries in Vigus' 30-year-old body," Soraghan writes. "He wrote in his description of the heart that there were 'no gross atheromatous narrowings' of the arteries. That would usually mean there is no atherosclerotic heart disease." Another instance involved a Marathon health, environment and safety specialist, who said when he was interviewed, the only question he was asked was "Can you keep your mouth shut?" Soraghan writes. 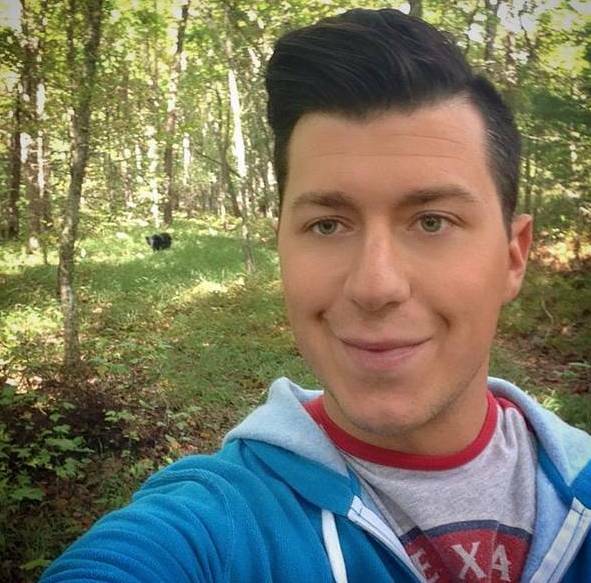 "The problem turned out to be not what he said, but what he wrote," according to the attorney for the family of Dustin Bergsing, whose autopsy said he died of "hydrocarbon poisoning due to inhalation of petroleum vapors." Less than a week ago, a West Virginia lab had its certification revoked because an employee admitted falsifying water quality samples for coal companies. Soon it could be back in business, Ken Ward reports for the Charleston Gazette. The state Environmental Quality Board is considering a request from Appalachian Laboratories to block the revocation and allow the company to remain open. Lawyer Joseph Jenkins "told board members the DEP order puts the lab out of business and its 35 employees out of a job," Ward writes. "He said the DEP hadn’t performed its own investigation of allegations against the lab and that agency officials were acting out of concern that some third party might challenge DEP permit or enforcement decisions based on data from the lab." In states like West Virginia and Kentucky, politicians are airing coal-related advertisements—many of which blame President Obama for the loss of jobs and downturn in economy. Republicans want to link their Democratic rivals to Obama, while Democrats try to distance themselves from the president. But the ads don't really say anything. And journalists are doing little to clear up the confusion of the ads that are typically geared toward getting an emotional response from voters—without the benefit of facts. "The television ads are bad enough, and now we’ve got to endure career campaign consultants insulting each other via social media," Ken Ward reports for the Charleston Gazette. "So it would be nice if we had more actual journalism—the kind that gives voters the sort of information that helps make good choices." Ward cites stories in The New York Times that skirt around the edges of coal-related campaign stories and never really tell the reader what's going on. "Huge advertising campaigns, first by the coal industry and then by coal-backed candidates, have created such widespread fear—based on false descriptions of what’s really killing the mining industry—that coalfield residents will back any measure, action or candidate that they think might save jobs that simply aren’t going to be saved," Ward writes. "Journalism should do more to help readers connect these dots. It should tell the truth." 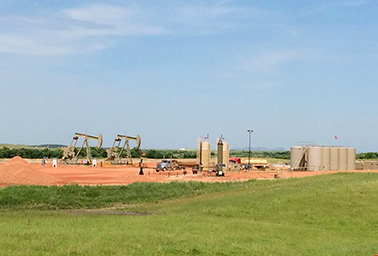 Oil and gas basins in North Dakota and East Texas leaked large amounts of natural gas into the atmosphere between 2006 and 2011, says a study published this month in the journal Earth's Future, Gayathri Vaidyanathan reports for Environment and Energy Publishing. "The study finds that the Bakken and Eagle Ford basins leaked between 3 percent and 17 percent of the natural gas produced between 2009 and 2011, with the Bakken most likely emitting 10.1 percent and the Eagle Ford most likely emitting 9.1 percent." Those are significant numbers, considering North Dakota's Bakken Shale produced 485 million cubic feet per day of gas in September 2011, while the Eagle Ford of East Texas produced 1,232 million cubic feet of gas per day in 2011, Vaidyanathan writes. "A methane leakage rate above 3.2 percent may negate the fuel's climate benefits in the power plant, scientists say. And in such a case, gas will be as bad as coal." 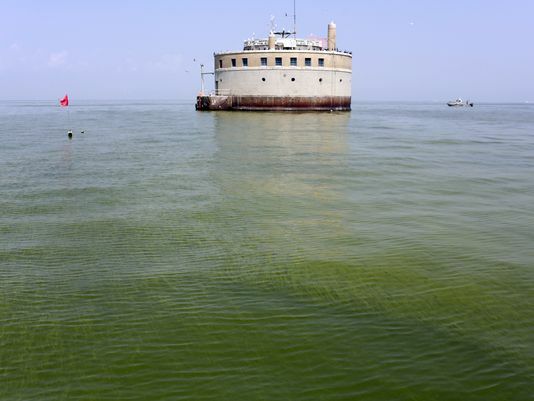 The U.S. Department of Agriculture has awarded Michigan, Indiana and Ohio $8.6 million in grants to reduce phosphorus runoff blamed for harmful algae growth in the Great Lakes, John Flesher reports for The Associated Press. The grants will "provide farmers with technical assistance and incentives while improving the measurement of phosphorus loads in Lake Erie tributaries, regional director Susan Hedman said." The U.S. Department of Labor says that 823 oil and gas extraction workers were killed on the job between 2003 to 2010, a fatality rate seven times greater than the rate for all industries, Mike Soraghan reports for Environment and Energy Publishing. "The 2012 fatality rate for oil and gas extraction was a record 24.2 deaths per 100,000 workers, according to the U.S. Bureau of Labor Statistics. That was more than double the rate of construction worker deaths, higher than coal mining and even above that of the notoriously dangerous agriculture, forestry, fishing and hunting sector." While the fatality rate for oil and gas workers is unavailable for 2013 but is estimated to have decreased, "the fatality rate for the mining sector, which includes drilling, dropped from 15.9 deaths per 100,000 workers in 2012 to 12.2" in 2013, Soraghan writes. Despite the big drop, it's still "substantially higher than construction and nearly four times higher than the all-industry rate." R. Dean Wingo, who retired in January 2013 as assistant regional administrator in the Dallas office of the Occupational Safety and Health Administration, told Soraghan, "It's still a long way to go, but we're headed in the right direction. They don't like this black eye for the fatalities they've had." The national debate over whether or not the National Football League's Washington Redskins' nickname is offensive has reached a small remote rural town in Arizona. 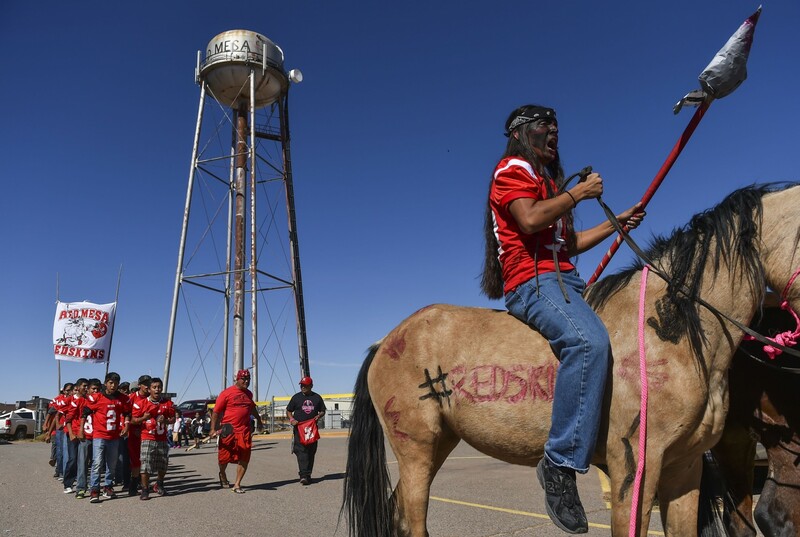 Red Mesa, a largely Navajo-populated town, which has the same nickname and similar logo as the NFL team, has faced scrutiny from activists who say the mascot is offensive, Ian Shapira reports for The Washington Post. Not only do most players and residents say they don't think Redskins is offensive but also many point to more pressing concerns facing their community—such as high unemployment and low test scores. In fact, Red Mesa has a Washington Redskins connection. Team owner Dan Snyder offered students free tickets to a recent game played against the Arizona Cardinals, Shapira writes. Many students accepted tickets and were met at the game by protesters, including Navajo and Arizona resident Amanda Blackhouse, who is the lead plaintiff in a legal case that threatens the Washington Redskins’ trademark protection. But the town has other concerns, Shapira writes. Red Mesa is 90 miles from the nearest major shopping center, the town's tap water is undrinkable with high levels of arsenic and uranium—forcing the school to spend thousands on bottled water—most of the school buildings were built in the 1970s, many students travel an hour to get to school and most students qualify for free student meals. "The historic downtown is chock full of 'unique entrepreneurial businesses,' in the language of the Texas Historical Commission, including a seemingly endless variety of antique stores," Snowden writes. "But I don’t spend a lot of time downtown. There’s nothing I need there. I don’t need antiques. I need toothpaste, something to cook for supper and toilet paper. I can’t get those downtown." "On those rare occasions when I do go downtown, I have to compete with tourists to get my business done. The streets and sidewalks are congested with traffic, and parking is at a minimum," Snowden writes. "While I’m glad that tourists come and spend their money, I really don’t want to get into a nest of them. That’s the problem with the Main Street program. It does a great job of helping towns preserve and gussy-up their downtowns, but in and of itself, does it really serve the broader local community?" While the program encourages small businesses opportunities, many of those businesses don't last, Snowden writes. Few hire outside of family members, and the ones that do, often pay low wages with little to no benefits. Additionally, tourism is not a consistent business and often has highs and lows and seasons. 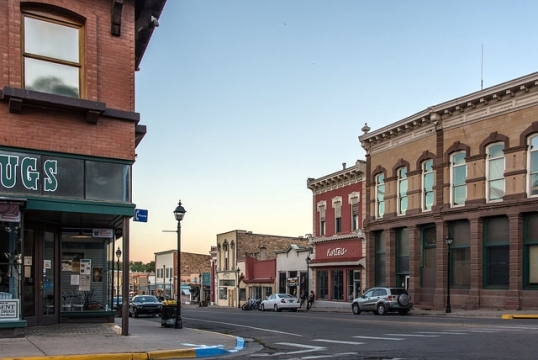 "All this taken together means that before your town jumps on the Main Street wagon, you need to seriously consider what it will do to—and for—your community," Snowden writes. "If your goal is to restore your downtown and create a hub for tourism, that’s great. It can do that. What it can’t do is single-handedly bring larger economic development to your town."